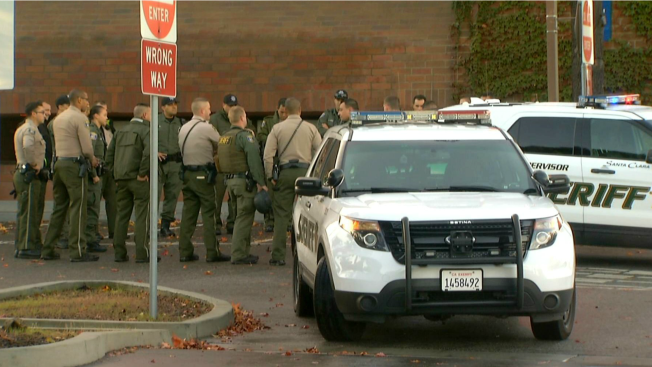 Suspicious activity at Santa Clara Valley Medical Center in San Jose Sunday morning prompted a temporary lockdown, police said. Shortly before 6 a.m., officers with the Santa Clara County Sheriff's Department and San Jose Police Department scoured the area in and around the hospital's emergency department after a patient, who police later learned had been hallucinating this past week, reported seeing someone with a gun, sheriff's department spokesperson Sgt. Rich Glennon said. An extensive search did not find anything and police lifted the lockdown around 7:45 a.m.
Law enforcement officials learned about the patient's mental history after talking with the patient's family, Glennon said. Due to the police activity, some Santa Clara Valley Transportation Authority bus routes were temporarily rerouted around the hospital.